Close to the airport, River City Mall and Amelia Island, this pet-friendly, family-friendly inn offers flat screen TVs and free Wi-Fi! 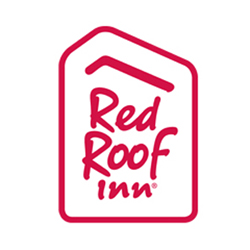 Red Roof Inn Jacksonville Airport is within a 15-minute drive of River City Mall, Cruise Port, EverBank Field, Jacksonville Landing and Amelia Island. This hotel is located just off I-95, less than two miles from the Jacksonville International Airport and surrounded by a wide variety of restaurants. This location features flat screen TVs, free Wi-Fi, an outdoor pool (temporarily closed for renovation) and in-room safes! Select rooms offers microwave and mini-refrigerator units. This inn offers On Command Video and is 100% pet friendly!